Goonies. Examining the map. 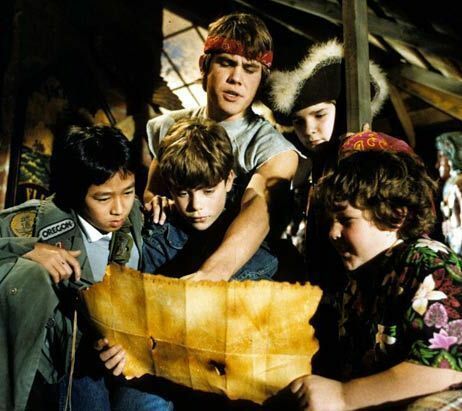 Wallpaper and background images in the The Goonies club tagged: goonies kids 80's adventure movie treasure maps attic pirates. This The Goonies photo contains barrow, বাগান কার্ট, লন কার্ট, and ঠেলাগাড়ি. There might also be সাইন, পোস্টার, টেক্সট, চকবোর্ড, and টামালে.